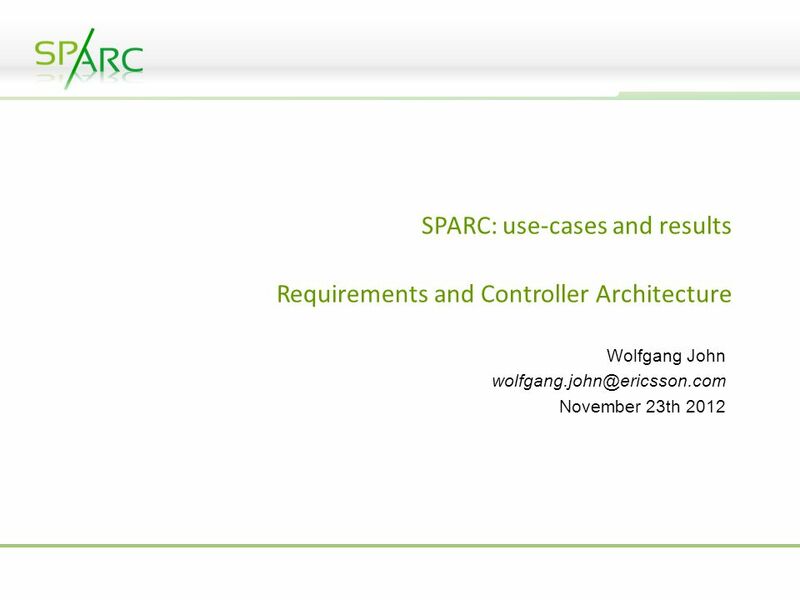 SPARC: use-cases and results Requirements and Controller Architecture Wolfgang John November 23th 2012. 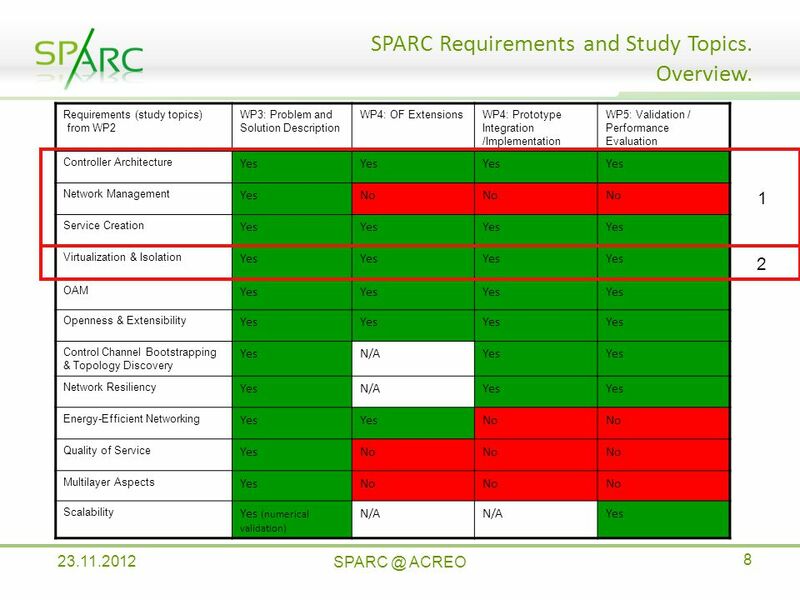 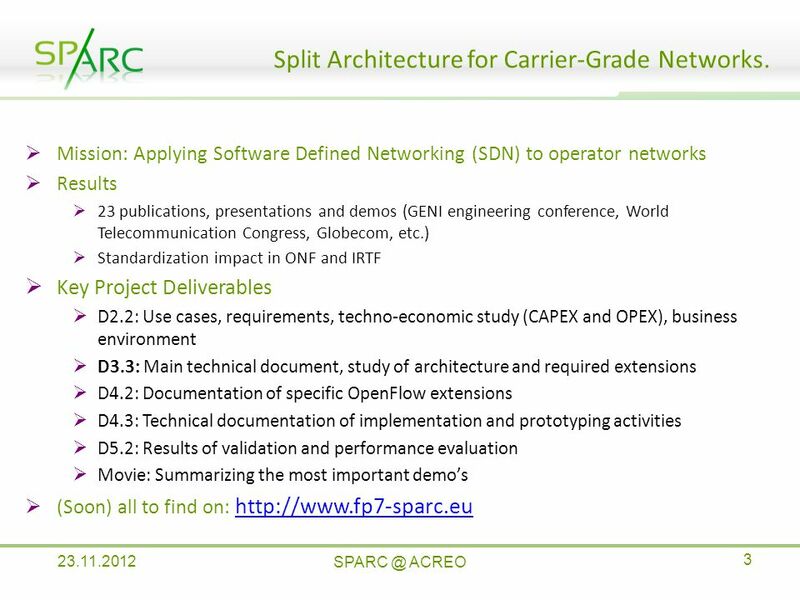 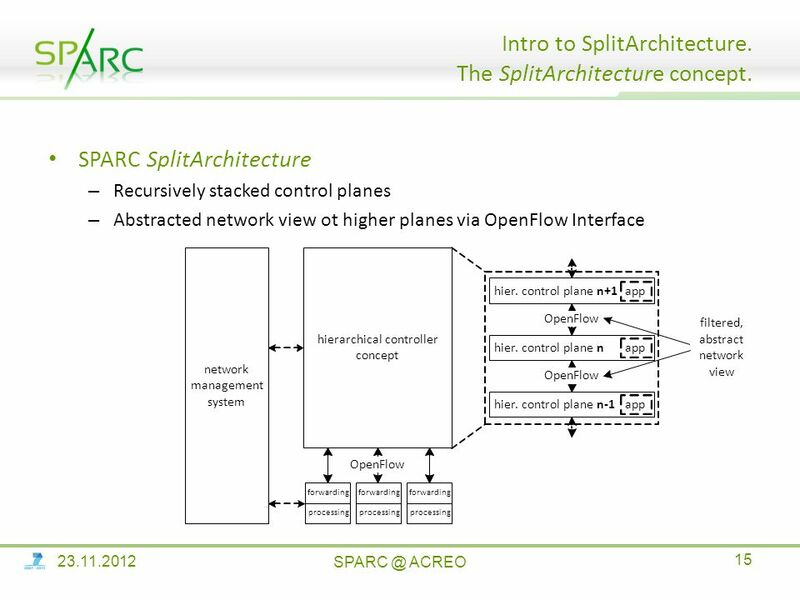 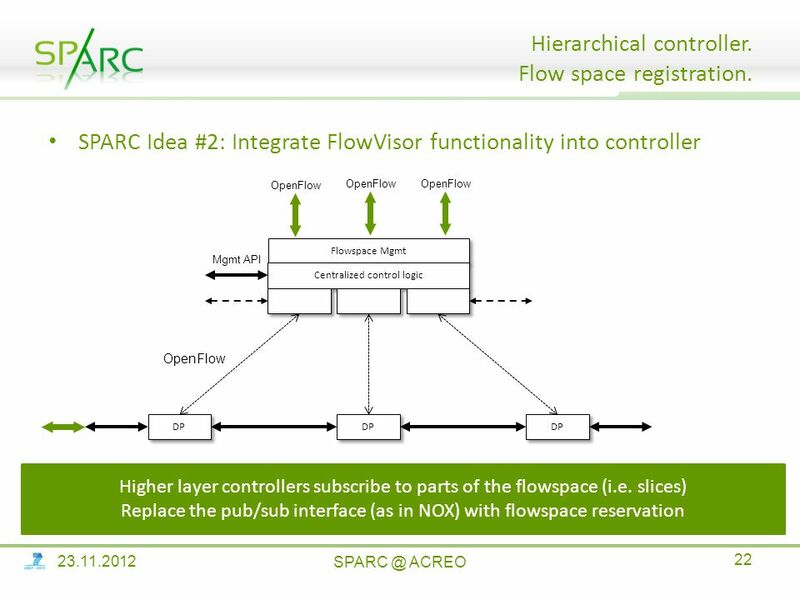 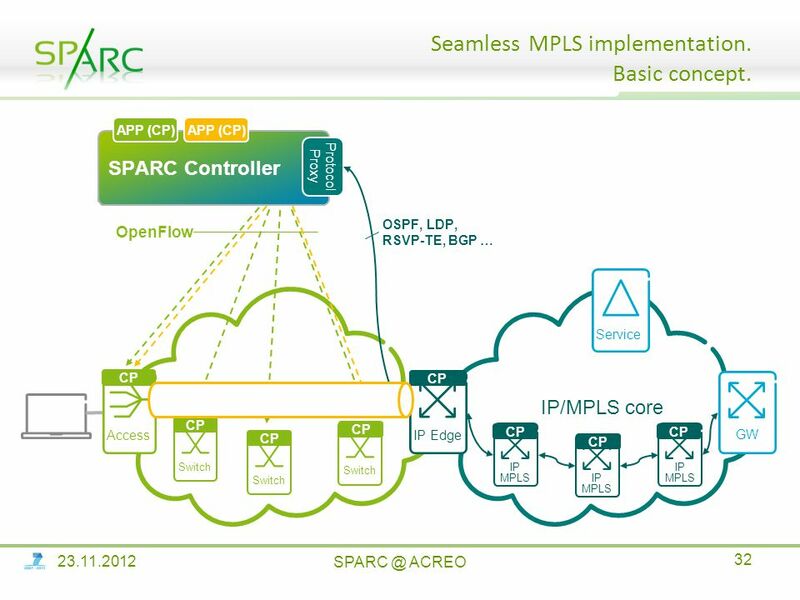 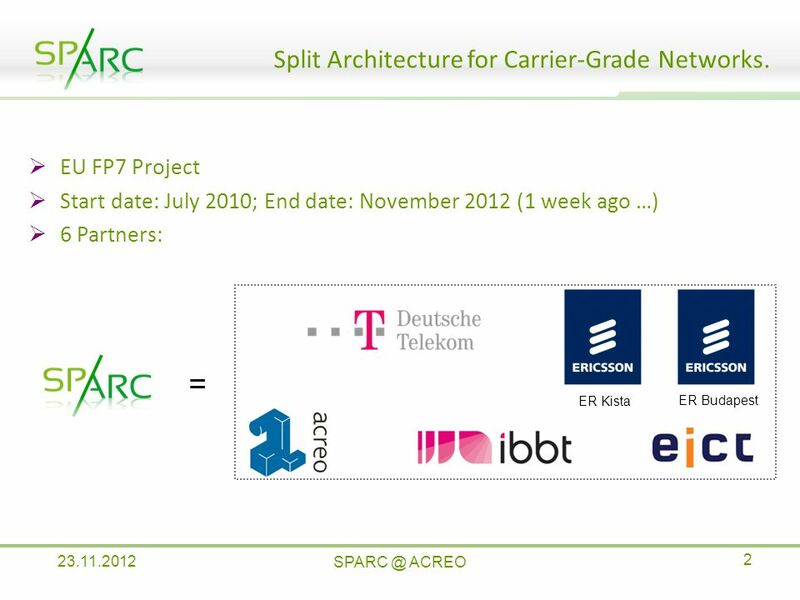 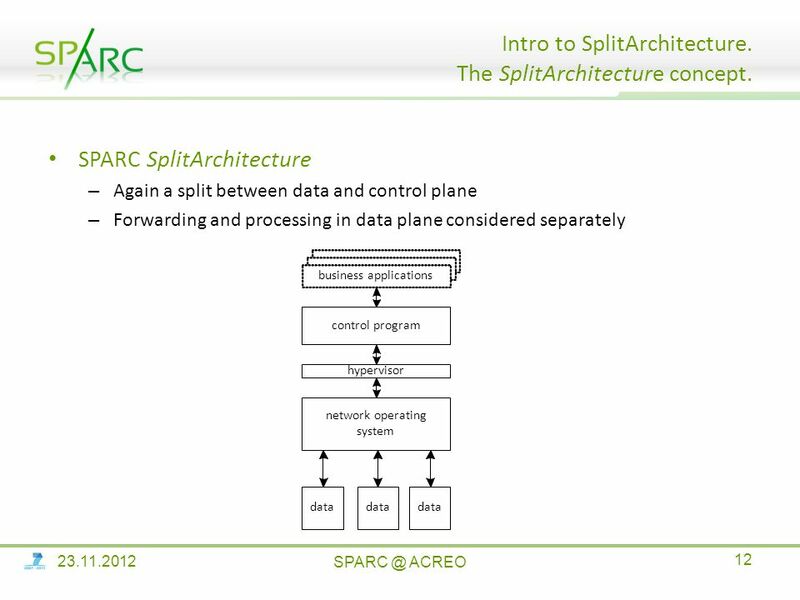 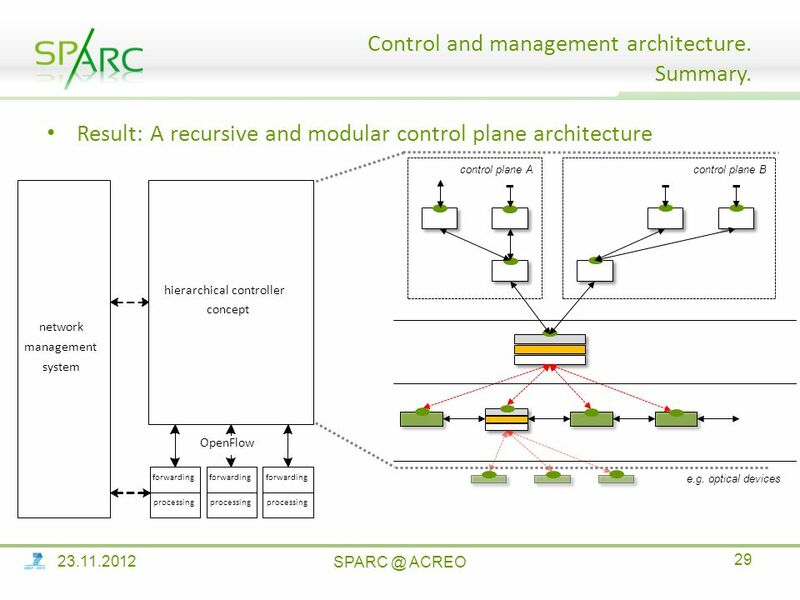 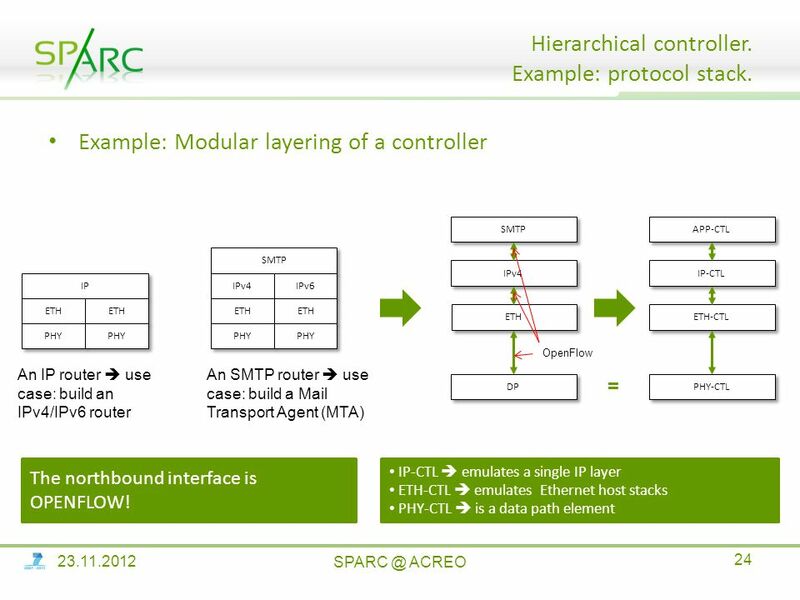 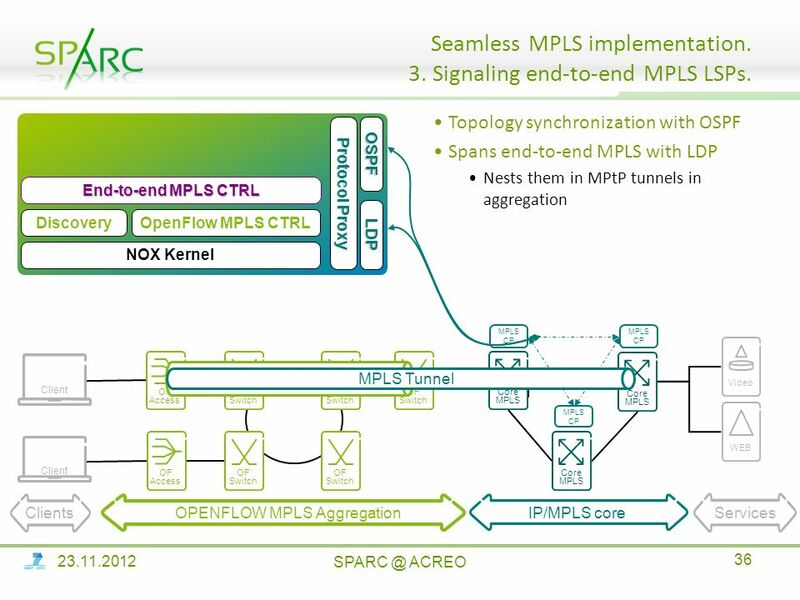 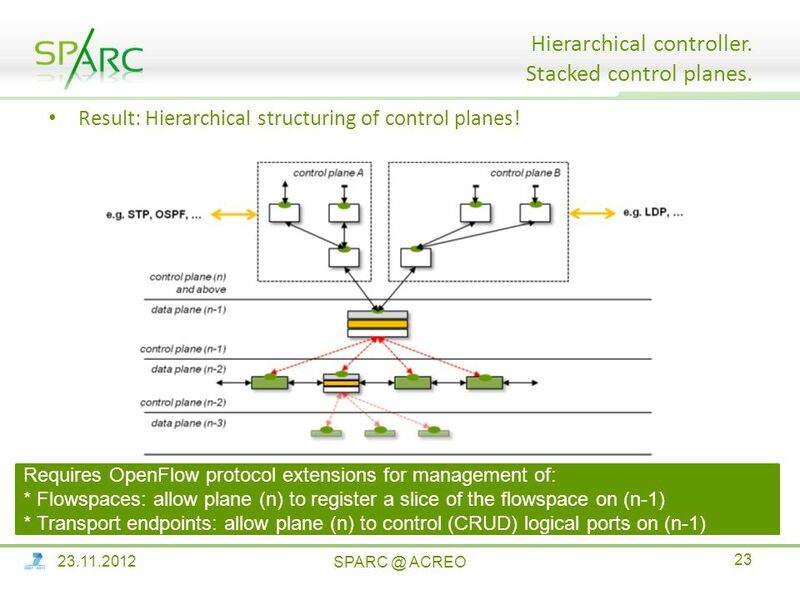 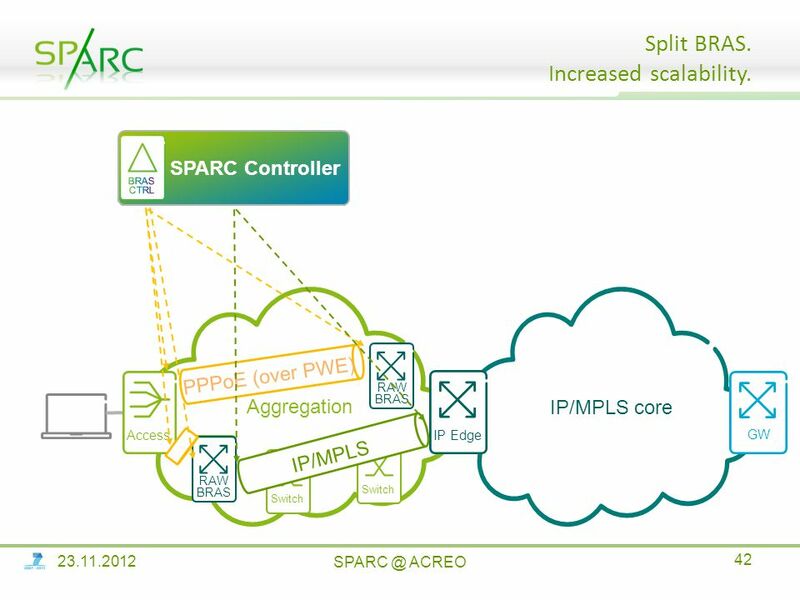 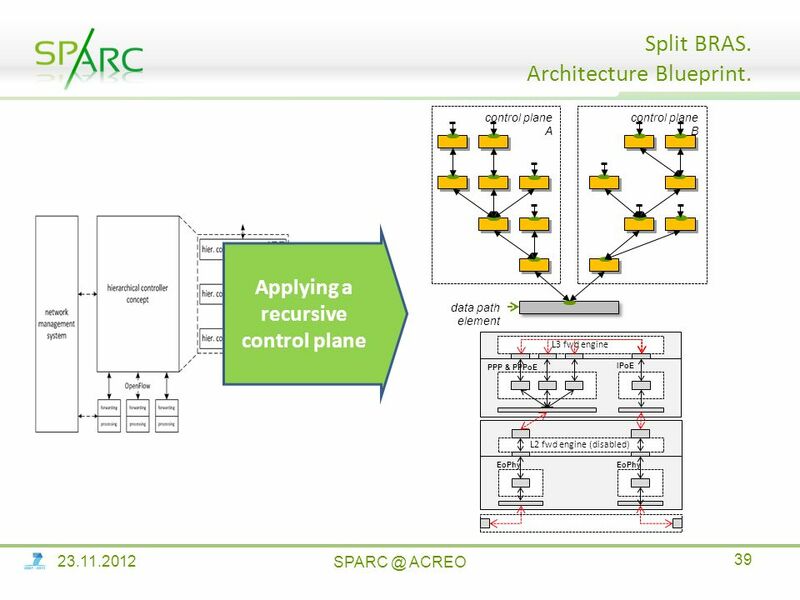 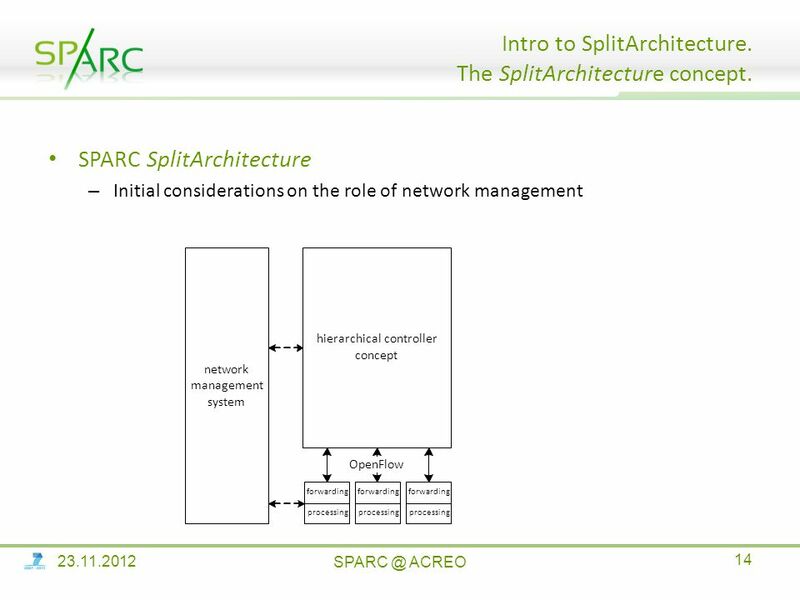 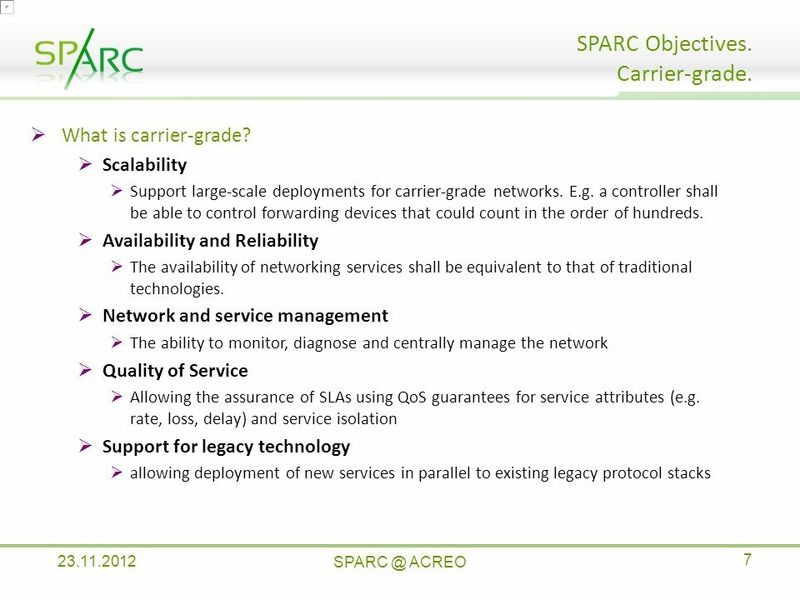 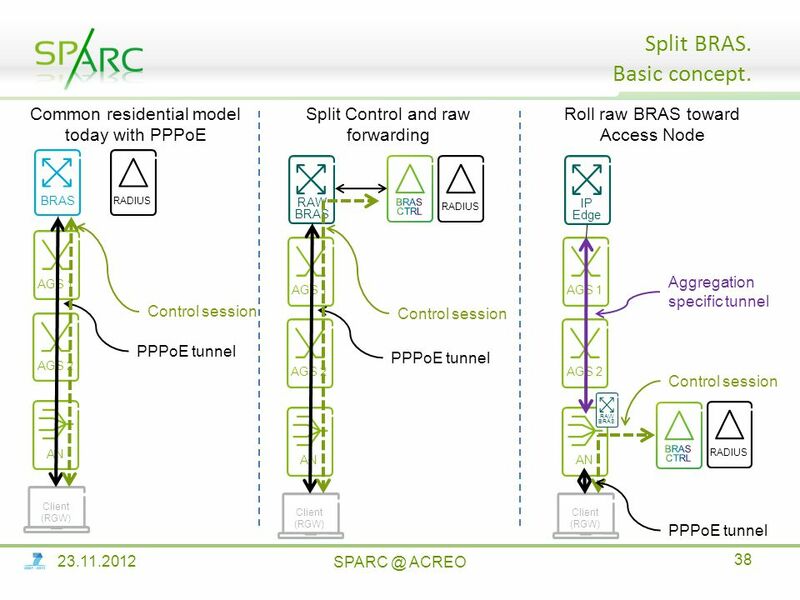 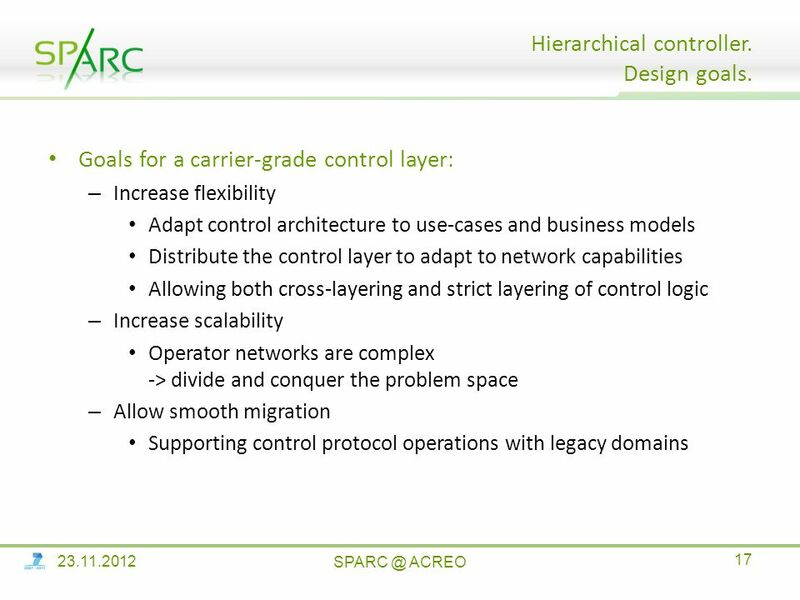 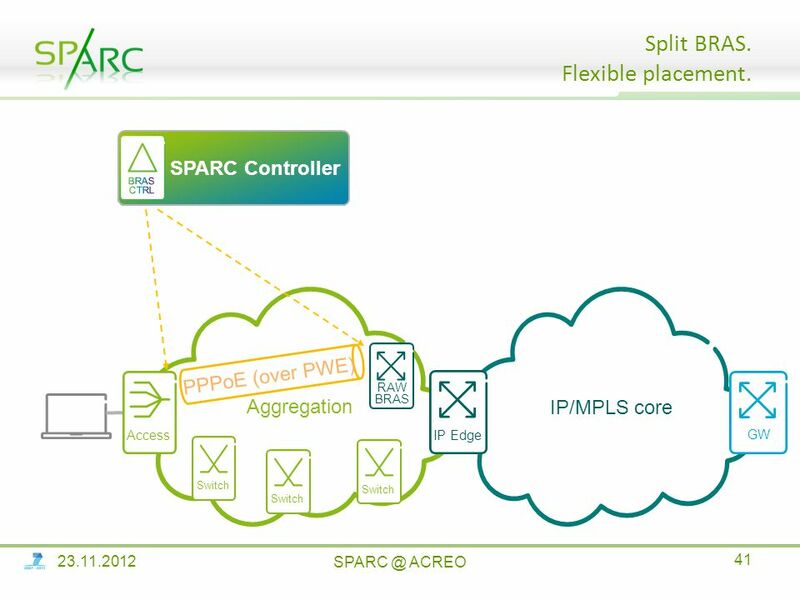 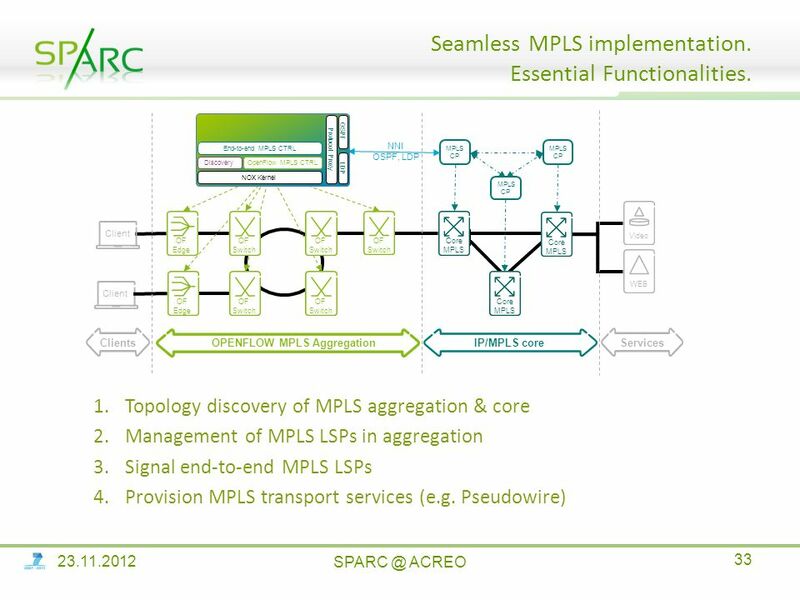 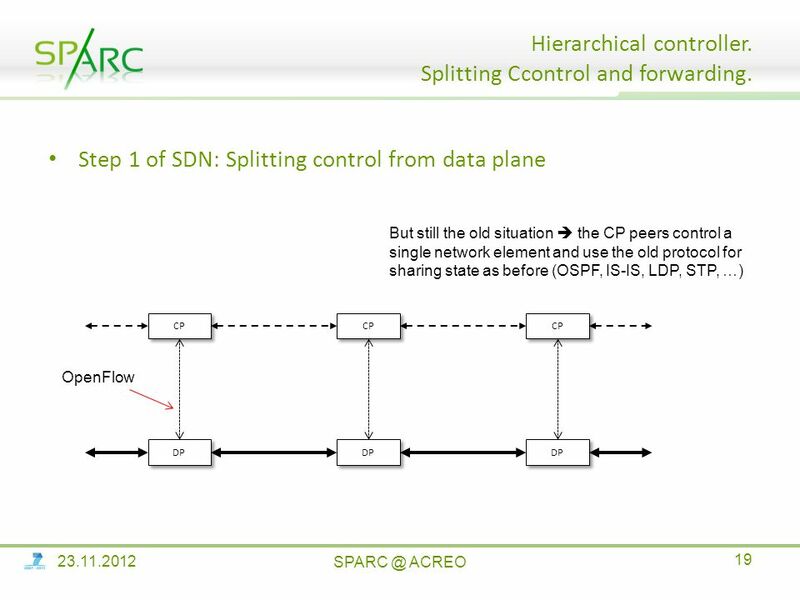 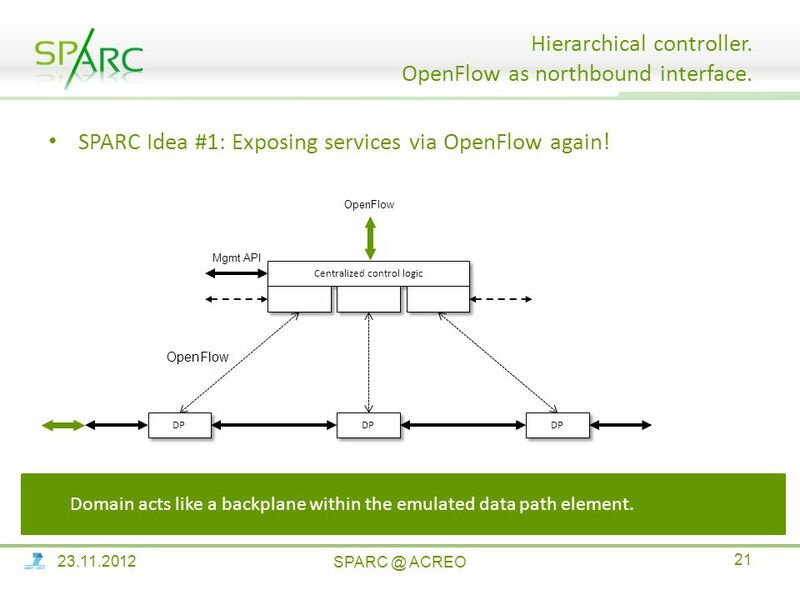 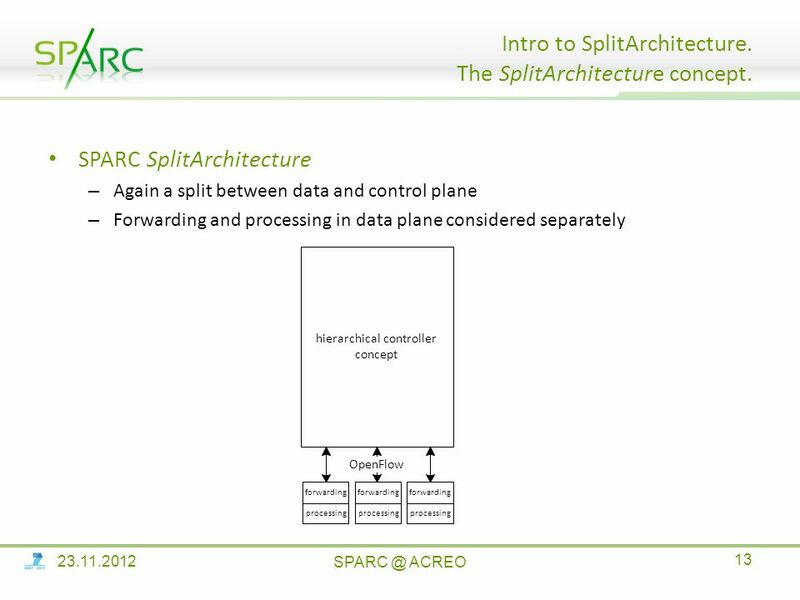 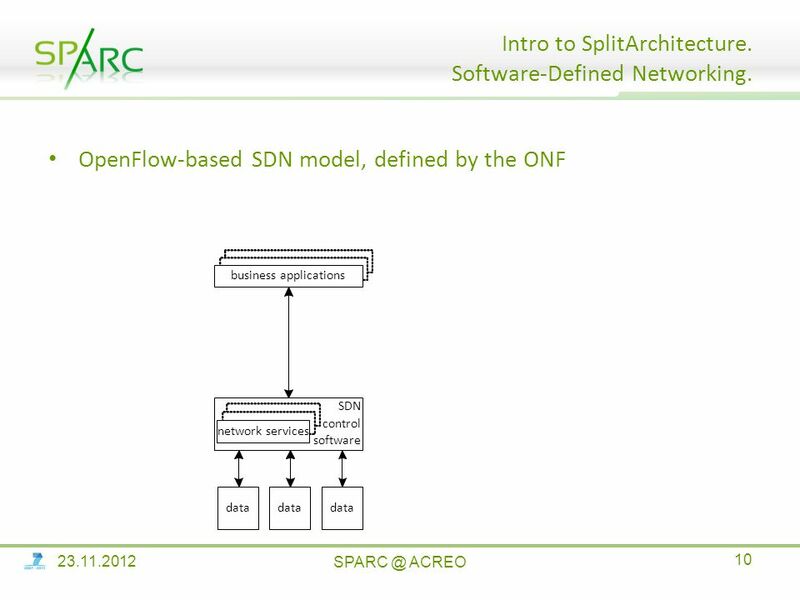 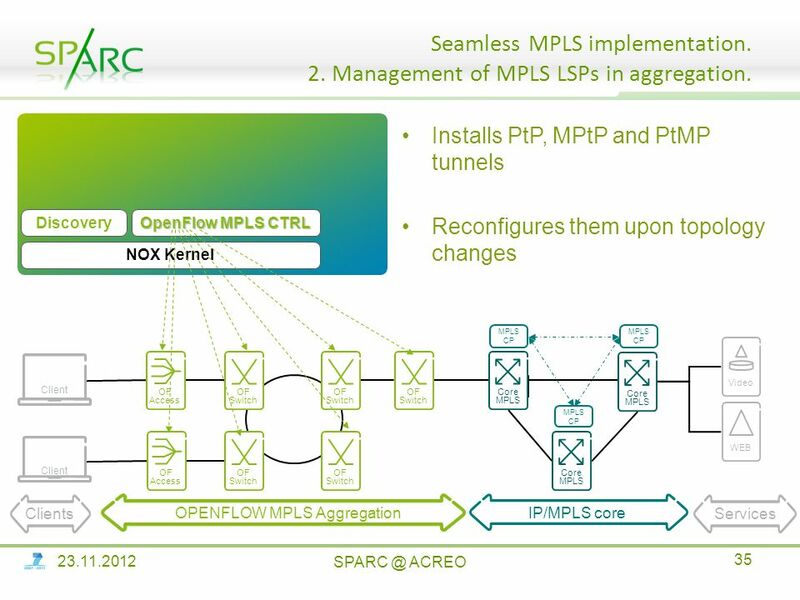 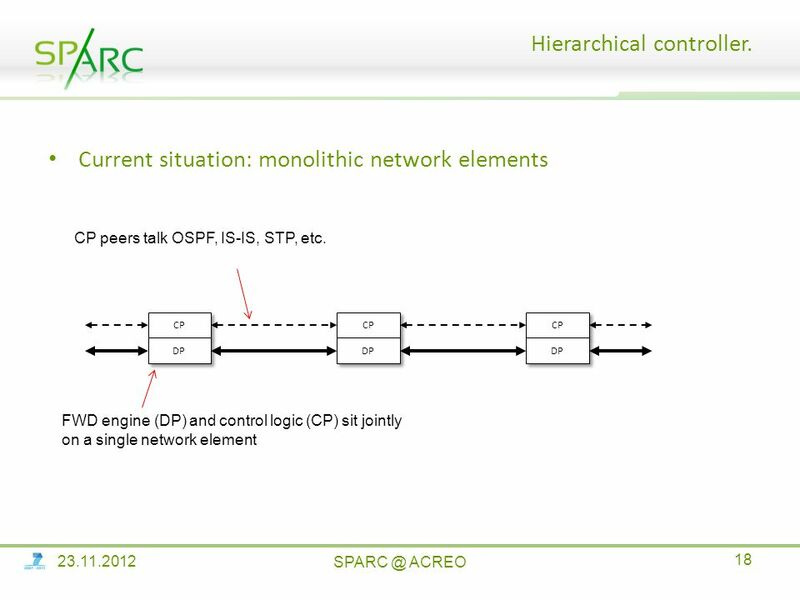 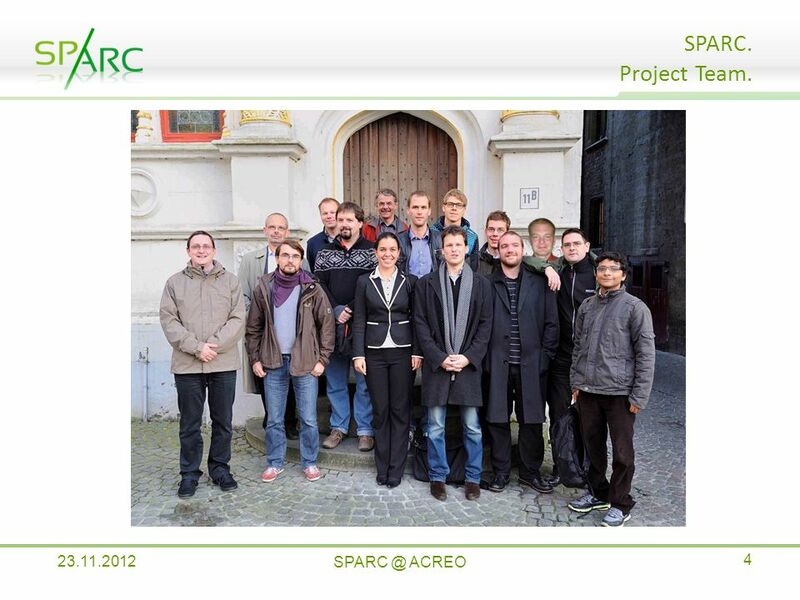 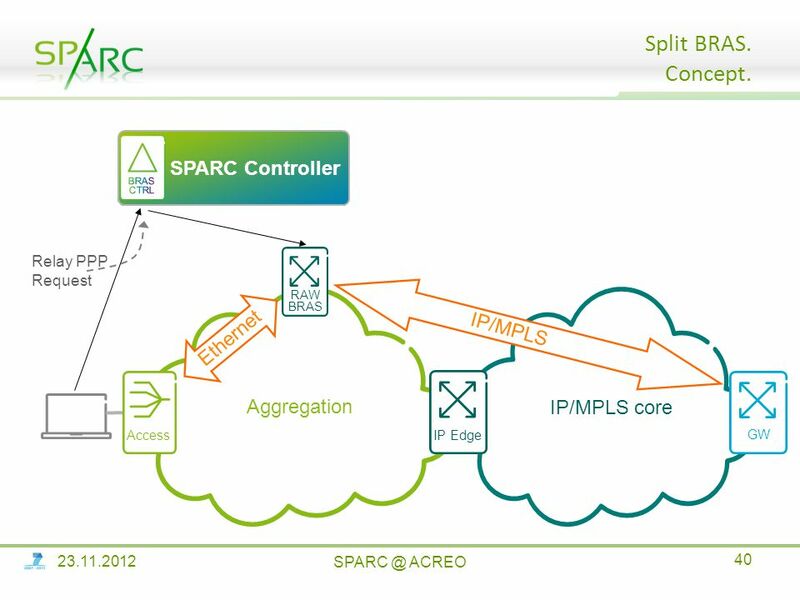 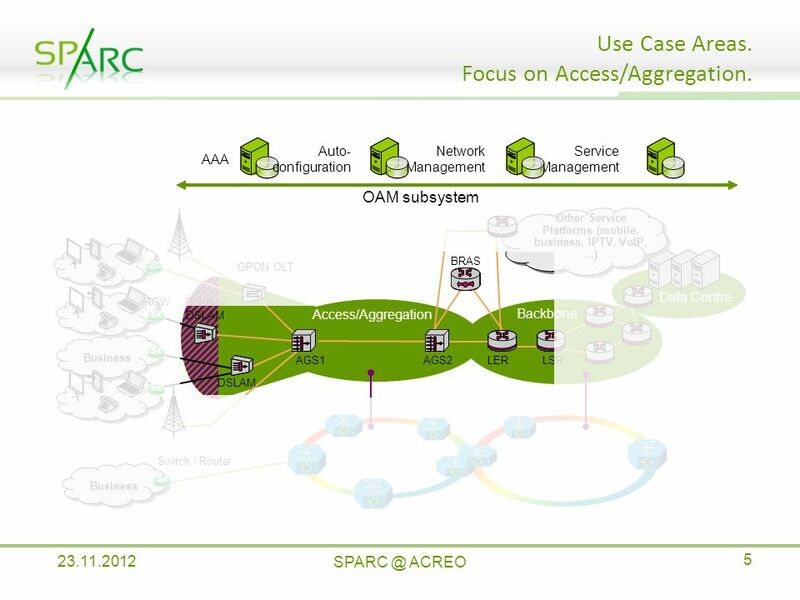 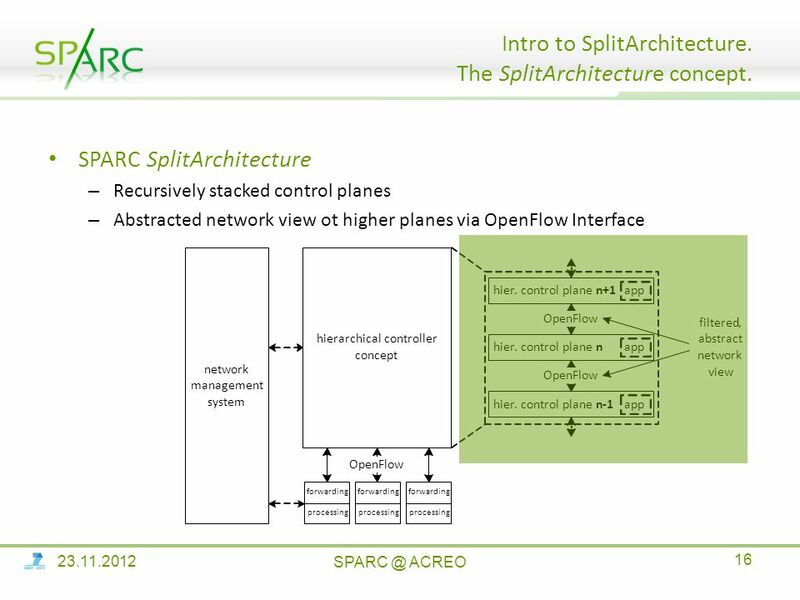 Download ppt "SPARC: use-cases and results Requirements and Controller Architecture Wolfgang John November 23th 2012." 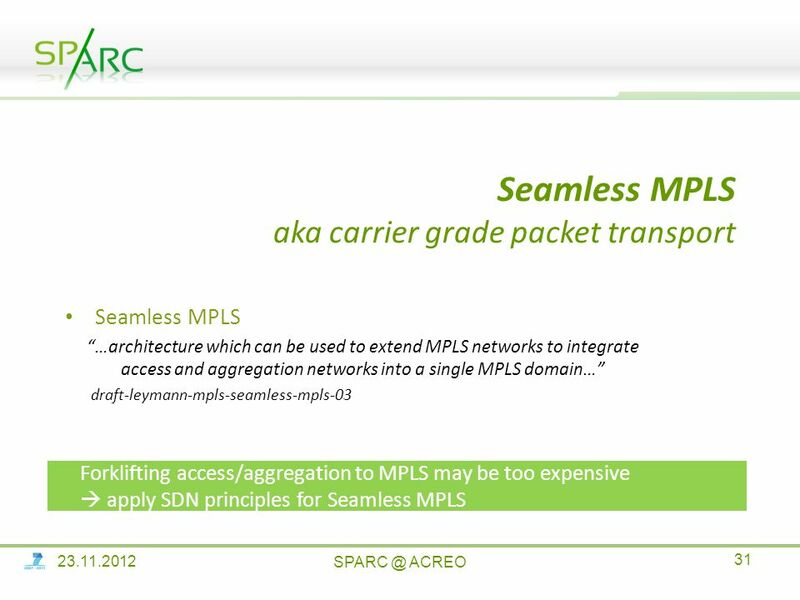 MPLS and GMPLS Li Yin CS294 presentation. 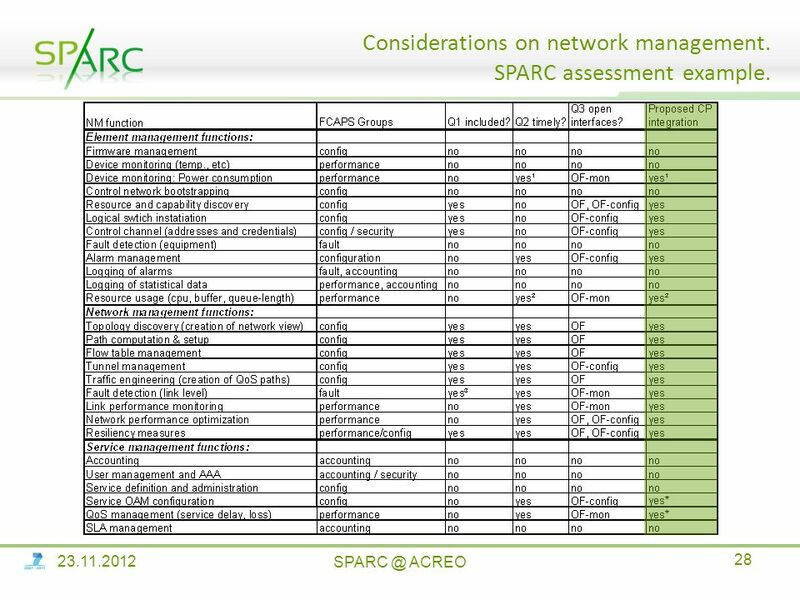 ITU-T Workshop on IP/Optical Chitose, 9-11 July 2002 Session Network Performance N eal Seitz, Chair SG 13/WP 4 IP Performance Specifications: Progress. 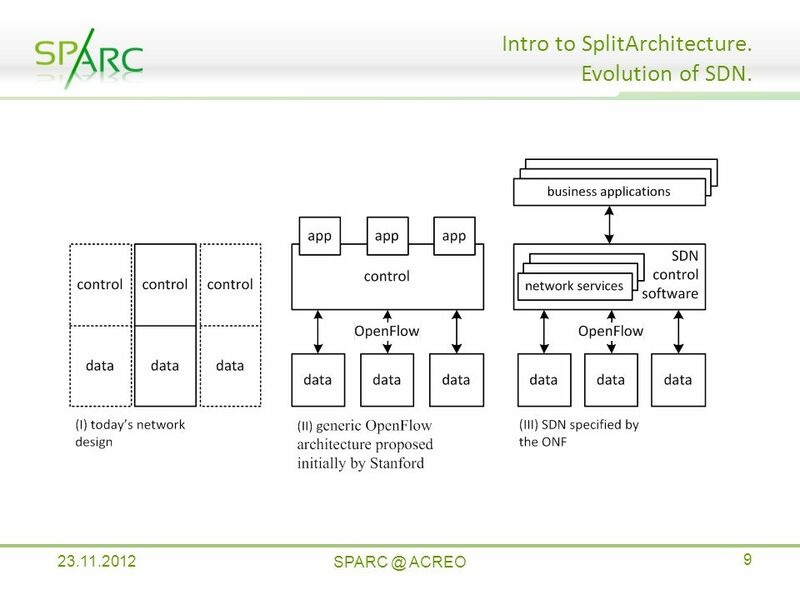 Multi-service Architecture: Evolution of Network Architecture Keith Knightson Khalid Ahmad Carrier Data Networks Nortel Networks, Canada IP-Networking/Mediacom. 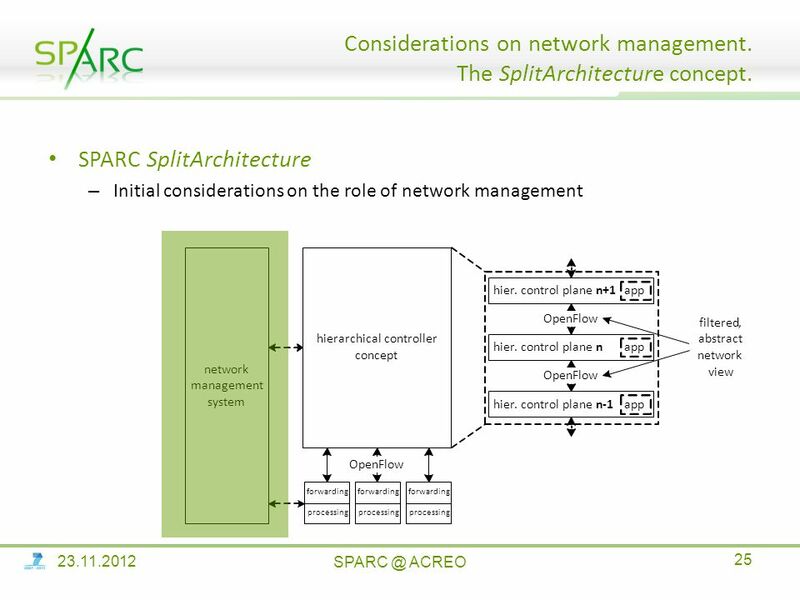 © 2010 MAINS Consortium MAINS (Metro Architectures enablINg Subwavelengths) Javier Aracil (WPL, UAM) Giacomo Bernini (NXW) MAINS 2 nd EC Technical Review. 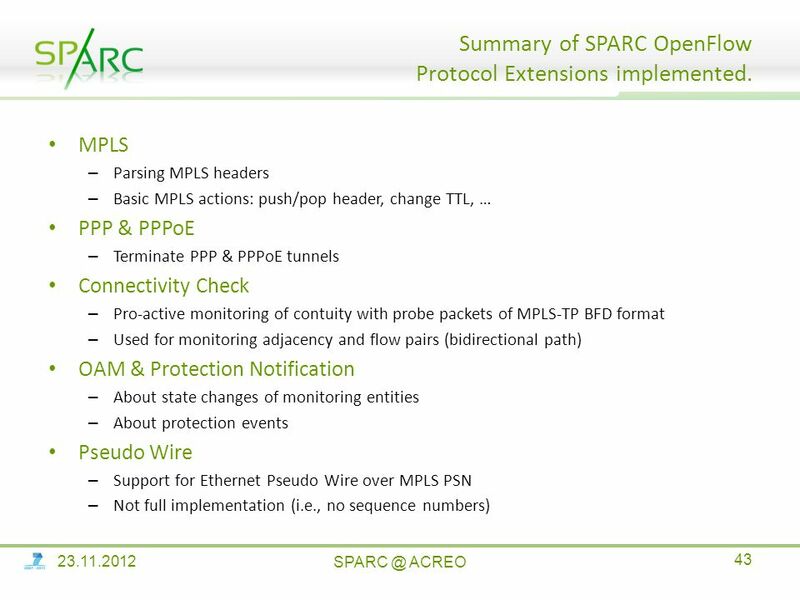 © 2006 Cisco Systems, Inc. All rights reserved.Cisco ConfidentialPresentation_ID 1 MPLS Scale to 100k endpoints with resiliency and simplicity Clarence. 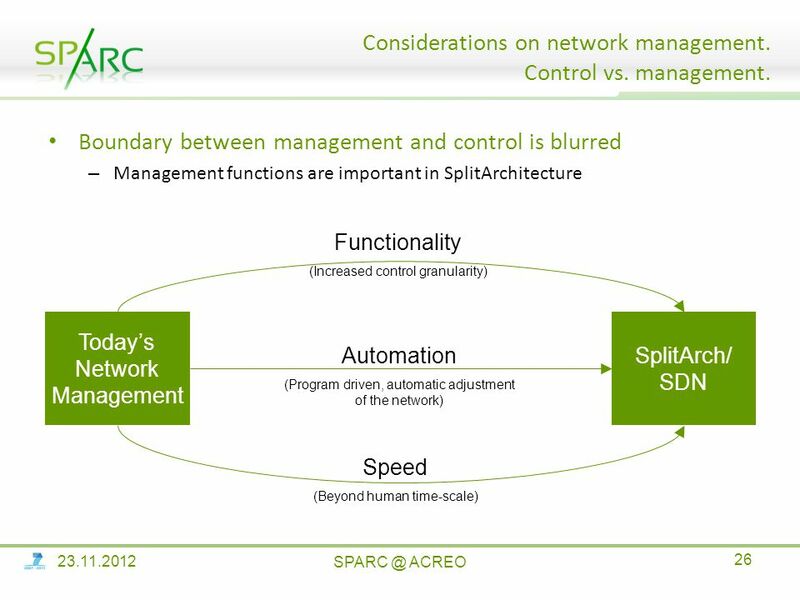 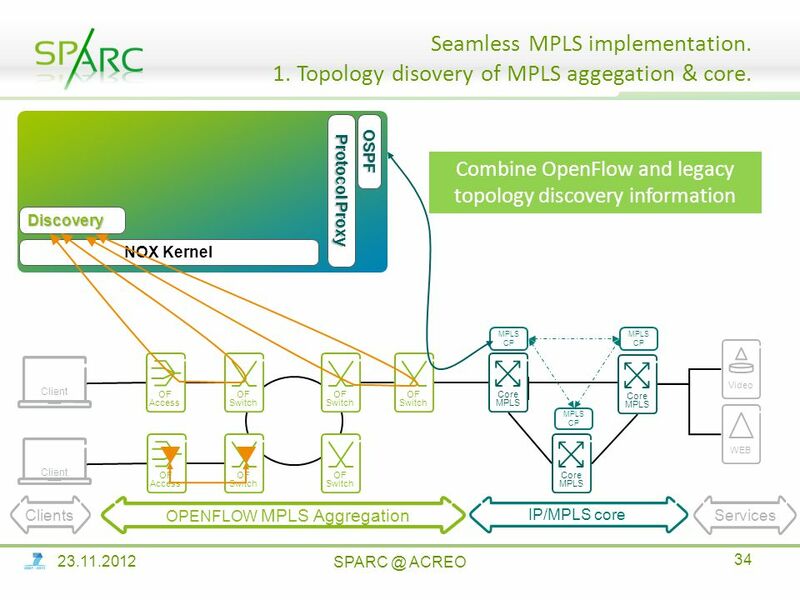 Why SDN and MPLS? 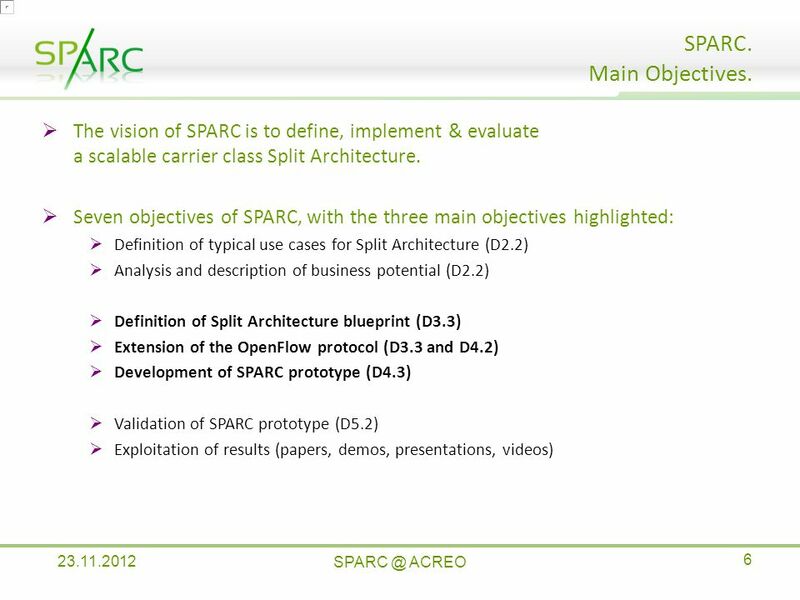 Saurav Das, Ali Reza Sharafat, Guru Parulkar, Nick McKeown Clean Slate CTO Summit 9 th November, 2011.